Minecraft PE 1.4 Mod is a cool addition where you will find new features of The Aquatic Update! As we know this release is planned for spring/summer 2018. Now players can install this mod and diversify their game world with new creatures, items and structures that they will find underwater. Most of Aquatic Update innovations that we already learned about added to MCPE 1.4 mod! Today we cannot say about Minecraft PE 1.4 release date with a great confidence. Though it can be spring or summer in this year. Nevertheless there are most of novelties from Aquatic Update as water creatures, underwater structures, some interesting items. For example you can find a sunken ship on the ocean bottom. Also icebergs will make the sea surface more scenic and beautiful . 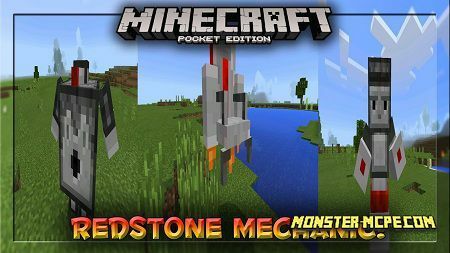 Minecraft PE 1.4 Mod is a concept of new version release. 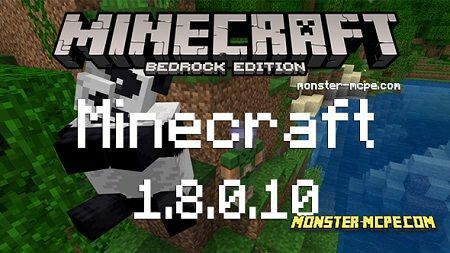 Its main idea is based on information from Mojang blog, developers Twitter posts and web Minecraft communities as well. Seaweed: kelp that grows underwater. Dolphins – mammals that you will see in oceans, can be spawned using a text command or with spawn egg. Fishes – appear itself in water. Ocean monster – new creature, replaces default squid, it’s very big and aggressive. Big hunger – his appetite is never subsides. Be careful because it’s very dangerous, monster will never miss a chance to attack you. Air infernal – monster with wings that lives in the Nether World. Night Sky Monster – it’s rather one of the most long-waited creatures, it flies high in the sky and looks like a cramp fish. Trident – can be thrown underwater.